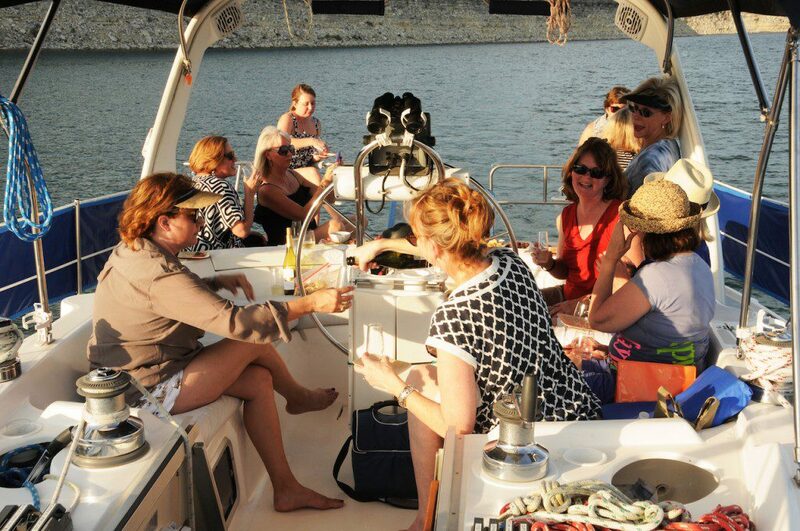 Experience The Beauty of Lake Travis On A Private Charter! Private charters are exactly that…you decide when we leave and when we return. We arrange the cruise whenever you prefer. Whether it is a half or full day, sunset charter or anything in between, we are here to serve you! All charters are a minimum of two hours and can be ANY length of time over two hours. You are welcome to bring your own food & drinks or we will cater your cruise. Nothing says "Romance" like sharing an intimate evening with the quiet water, subtle breeze, and breathtaking sunset over Lake Travis. The perfect setting for an anniversary, that special announcement, a marriage proposal, or the couple that just wants a few hours to indulge their senses on an unforgettable escape from the norm…. The beauty of the sun dropping behind the Texas Hill Country is a sight that never gets old. Take a slow cruise into the sunset and BE that sailboat that you have watched from The Oasis on the lake below! What a great idea to enjoy celebrating the coming wedding of one of your best friends! Spend the day on the lake sailing, swimming, eating, drinking & partying. Sun, music, water & friends! Can't beat it!! Is someone you know about to turn that special age? What a great way to show the importance of the day! A cruise with your best friends or quietly together....in class. Spring Break, Thanksgiving, any family gathering where you want to bring everyone together for a unique and memorable day. Leave your phones below in the yacht and enjoy the wind, water and sun. Swim with the kids and make a memory. Bring your business team together to celebrate your successes. Show the staff your appreciation for their hard work in a truly tangible way. We have even had teams conduct off site meetings on the yacht! Now that is thinking outside of the box! Nothing else inspires bonding and teamwork to quite the same extent as sailing. Success requires good communication in challenging situations, working together towards a common goal; qualities essential to every business. Team building charters allow each participant to receive personal sailing instruction, an opportunity to work the winches, steer the yacht from the helm, and learn basic navigation. We can tailor the perfect team building event for you. 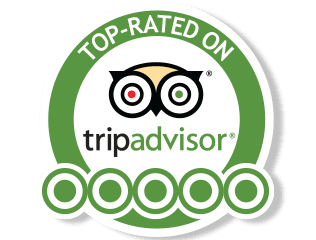 Our team building charters leave participants with a revitalised sense of collaborative purpose, receiving overwhelming praise from our clients. * All prices reflect a 4% discount for cash. All rates include up to a maximum of ten (10) persons. Additional guests are 10% per person. The capacity of the yacht is 15 guests. A lovely two hour cruise on the largest sailing yacht on Lake Travis. This cruise is most often scheduled for sunset and is designed to relax and provide a beautiful closure to the day. Reservations are accepted for any day of the week, any time of the day. Typical sunset cruise times are set to return about 30 minutes after the actual sunset which allows you to fully enjoy the experience. This rate allows up to 10 people on the cruise. So, get a few friends together and share the experience (and the cost). Add 10% per person over 10 up to 15 people. Our most popular sail, the Half-Day Cruise is a four hour excursion that provides for the spirit and excitement of daylight on the Lake. And it can be scheduled to culminate as guests enjoy the soothing ambiance of sunset on the water. 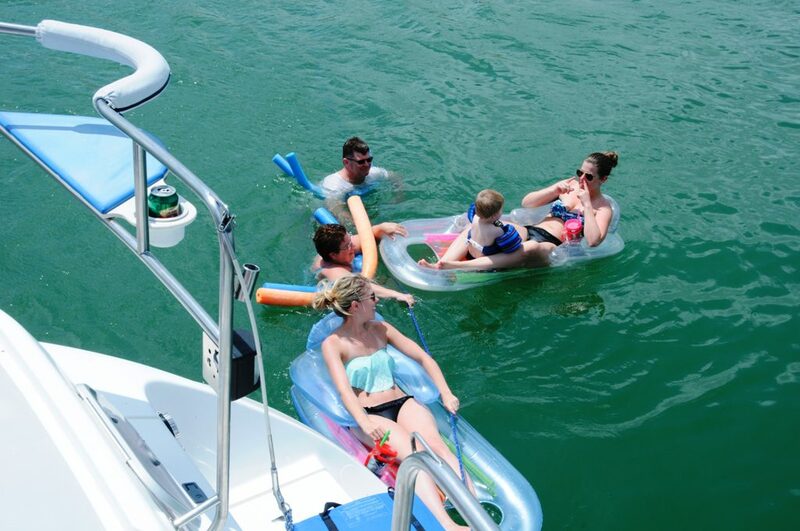 There is even time for your group to enjoy a swim while anchored in a beautiful cove. You can even schedule the half-day charters to depart in the late afternoon and return after sunset. The perfect charter for birthday parties, anniversaries, or to celebrate your special occasion in an exceptional way. This rate includes up to 10 people on the cruise. Add 10% per person over 10 up to 15 people. 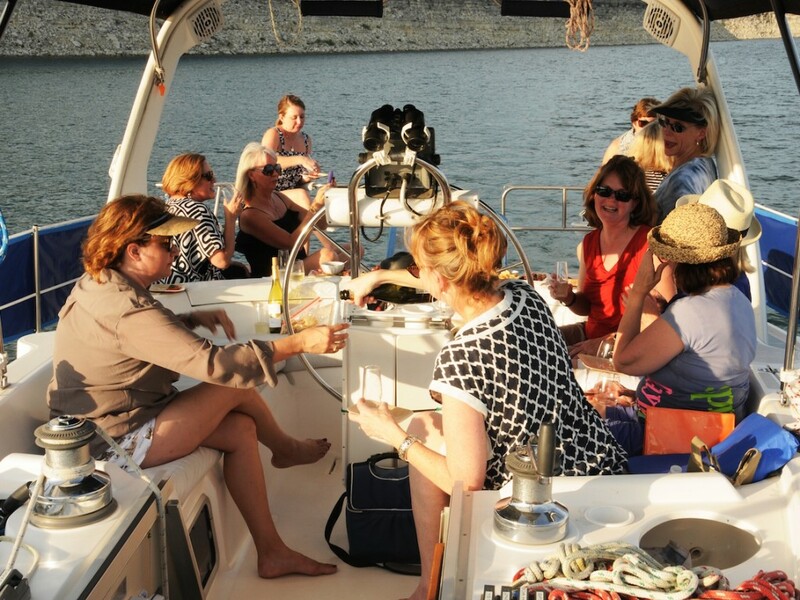 Often departing between ten o’clock in the morning and noon and returning after sunset, this leisurely, eight hour charter provides ample time to explore several different areas of Lake Travis, anchor, swim and sail. We can even sail into one of the local on the water restaurants for lunch or dinner. The relaxing day usually ends with the sun slipping into the hill country to the West as we slowly sail home. As with all of our charters, bring up to 10 people for this sail or add 10% per person over 10 up to 15 people. Overnight Charters - Call us!! The beauty of cruising in the late afternoon and sliding into a cove for the night is amazing! We will anchor in a cove of your choosing. You can swim and play in the water then enjoy a nice meal aboard. You are welcome to bring your own food or we can handle everything for you. We can even sail into one of the local on the water restaurants for dinner. Typically departing around 6PM and returning anytime from noon to sunset the next day, this is the ultimate in leisure sailing. And there is nothing like waking up in a cove with no one around while you greet the morning with a private swim. The magical experience usually ends with a slow sail home enjoying the beauty of the Hill Country in the background. Call us! The charters listed above are the most common durations. However, we are happy to offer any length charter that you want. Custom charters are available for the hourly rate for any charter of 4 hours or longer. CHILDREN- Children under the age of thirteen must wear a life vest at all times unless they are below deck (inside the boat’s cabins) or stationary in the cockpit. This is not Texas law but the policy of Sail Austin Charters. HOLD HARMLESS AGREEMENT - All passengers are required to sign the Hold Harmless Agreement prior to departure of the boat from the dock. This document must be signed by anyone wishing to sail. If the passenger is under the age of 18, a parent or legal guardian must sign for them. Proof of guardianship is required. SAFETY MEETING- All passengers must attend a brief (10 minute) safety meeting conducted on board prior to departure. FINAL AUTHORITY- The Captain has final authority for decisions related to the safety of the passengers and vessel at all times during the charter. RISKY PASSENGERS- The Captain has the final decision and authority to require any passenger to disembark who is considered a risk to the other passengers or vessel at any time. CHARTER TERMINATION BY THE CAPTAIN- If, in the sole opinion of the Captain, anyone in the Chartering Party is behaving in a manner which poses a risk to any passenger or crew at any time during the charter, the Captain has the authority to terminate the charter immediately and without refund of any payments made and without compensation, including future charter time. ASSUMED RISK- Water sports are inherently risky and all passengers acknowledge that risk in signing the Hold Harmless Agreement prior to sailing. NO LIFEGUARD- No lifeguard is provided for our charters. Passengers swim at their own risk. INTOXICATION- Passengers who appear in the judgment of the Captain to be under the influence of alcohol or drugs and representing a risk to themselves or others may be asked to disembark. Safety is always the determining criterion in the decisions of the Captain. CHARTER SCHEDULE – Typically, we are happy to accommodate minor changes in the schedule where possible if we are given advance notice. However, this may not be possible if there is another charter scheduled for the same day or if it affects crew scheduling to the extent that we can not get proper crew coverage for the cruise. We will try our best to make it work out for you. But, if one or more guests are simply late, that is not considered reasonable cause for delaying the start of the cruise. We can wait for them or depart and come back and pick up the guests later. But, that is considered part of the scheduled charter time. CHARTER FEE PAYMENTS - Reservations are made by providing a current credit card over the phone with our office. That credit card is our guarantee of payment for the charter. Typically, no charge is made to the card other than a $1 validation charge prior to the charter date. However, making the reservation commits the full charter fee at the time of the reservation. The actual payment for the charter is normally made either in cash or by credit card on the day of the charter. CHARTER RESERVATION PROCESS - Reservations are only made on the phone with our office. Once the reservation is made, a Google Calendar Item will be sent to your email as confirmation. That invitation has all of the details of the charter. The invitation also includes links to a 2 page Damage Agreement and to a map to your departure location. You must ACCEPT that calendar invitation by responding on line. Using the link provided, you print out the Damage Agreement, fully complete and sign it, take a picture of it with your phone, and then email or text that picture to us. We handle everything electronically. CANCELLATIONS BY THE CHARTER PARTY- All charter cancellations are subject to a $100 cancellation fee. If the charter is cancelled PRIOR TO forty-five (45) days of the charter date, the charter fees are fully refundable less the cancellation fee. Cancellation within forty-five (45) days of the charter FOR ANY REASON will result in the full charter fee being forfeited. Cancellations may be made by calling Sail Austin at 817.909.2378 or by email to keepsailin@gmail.com. However, successful on-time delivery of the email is the responsibility of the Chartering Party. Cancellations by telephone will be confirmed by the date/time stamp if a message is left. 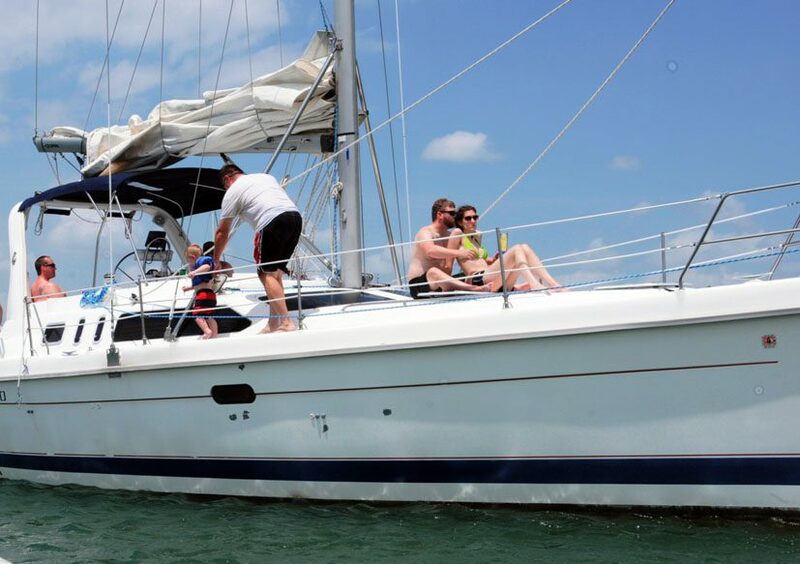 CANCELLATIONS BY SAIL AUSTIN CHARTERS – Cancellation of a cruise at the discretion of the Captain for weather, equipment or other safety concerns will result in either the refund of all charter fees paid to date or the rescheduling of the charter. The decision for a refund or future scheduling is that of the Chartering Party. THIS DOES NOT APPLY TO CHARTERS TERMINATED BY THE CAPTAIN (see paragraph on "CHARTER TERMINATION BY THE CAPTAIN" above). The simplest way to book and hold a charter is to use a credit card. If you ultimately wish to pay by using the card, you may do so. Or, if you wish to take advantage of the 4% cash discount, you are welcome to pay in cash on the day of the charter. The card will provide guarantee of payment for the booking. Sail Austin reserves the right to change the payment policies at any time. Reserve A Cruise or Inquire Now!